The role of the walking adviser is to provide support and advice on all aspects of walking and walking related activities. Providing opportunity for leaders to extend their own walking experience and develop confidence in leading walks. Suggesting appropriate walking areas and routes for different sections and ideas for activities to make walking adventurous, challenging and fun. 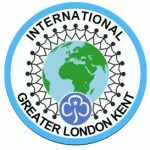 Explaining and clarifying Girlguiding UK’s walking rules. Providing information and support to leaders in gaining The Guide Association Walking Safely Qualification. Supporting units, districts, divisions and the county in organising challenge walks and other walk based activities and challenges.